This year, the Serpentine Pavilion will be designed by African architect Diébédo Francis Kéré, principal at Kéré Architecture and currently based in Berlin. 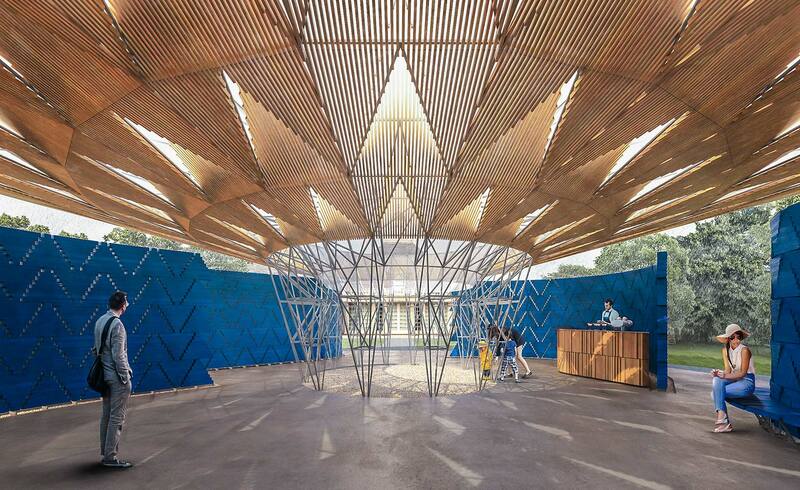 An established summertime destination for locals and visitors alike, the Serpentine Pavilion is Kéré’s first London project. Known for designing socially engaged architecture, the Burkina Faso-born architect describes his design for the pavilion as a ‘micro-cosmos’ and a ‘community structure’ that combines cultural references to his homeland with experimental construction techniques. Supported by a steel structure, a liberal wooden canopy provides a wide space for activities within, protecting its temporary inhabitants from the rain, yet channelling the rays of the sun through an oculus in the roof and into a central courtyard. The oculus is also balanced to funnel water from the roof, cascading down into a waterfall, before it joins a drainage system collecting water to irrigate Kensington Gardens. Responsive to the unpredictable nature of the British summertime, the structure provides shelter for all types of weather. For the walls, prefabricated wooden blocks will be assembled into triangular modules with apertures between the blocks allowing light to filter through. Patterns of shadows will be cast into the space during the day while at night the pavilion will be illuminated from the inside. ‘This combination of features promotes a sense of freedom and community; like the shade of the tree branches, the pavilion becomes a place where people can gather and share their daily experiences,’ says Kéré. In his hometown of Gando, the tree is a central meeting point, connecting people to nature and each other, which was a key inspiration for him. Kéré is seventeenth in line to accept the commission, which started in 2000, following the likes of Zaha Hadid who designed the inaugural pavilion; Frank Gehry in 2008; Herzog & de Meuron and Ai Weiwei, 2012; and Bjarke Ingels Group (BIG), last year. In contrast to BIG’s structure – a futuristic wave of pixelated blocks, which was one of the most visited to date – Kéré’s pavilion has been designed from the inside, out, prioritising activities and conjuring a sense of community through its circular plan. ‘Fundamental to my architecture is a sense of openness,’ he says. ‘My experience of growing up in a remote desert village has instilled a strong awareness of the social, sustainable, and cultural implications of design. 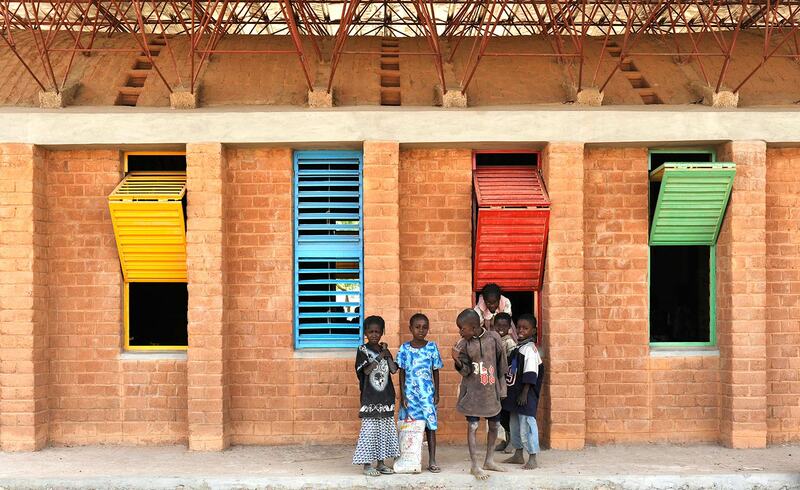 I believe that architecture has the power to, surprise, unite, and inspire all while mediating important aspects such as community, ecology and economy,’ says Kéré.